Click on a link below to register for a session! Walk ins welcome if there is space available. It’s time again to start thinking about your summer schedule. We’re so excited to introduce another new camp for SUMMER 2019! We like to call it STEMA Explorations because that’s exactly the order we’ll be teaching for your 5 days of camp. We wanted to end with ART so there you have it – STEMA (not STEAM) which stands for SCIENCE, TECHNOLOGY, ENGINEERING, MATH & ART. Each day will include activities based on each word. Come join us for another wonderful summer! Yes, we realize there are no LEGO bricks in this camp, but it’ll still be fun! This year we are bringing back a camp favorite, WeDo 1.0. This was on hiatus for the past two years since we were perfecting our WeDo 2.0 program. We’re also bringing back the wildly successful Pneumatics & Renewable Energy. 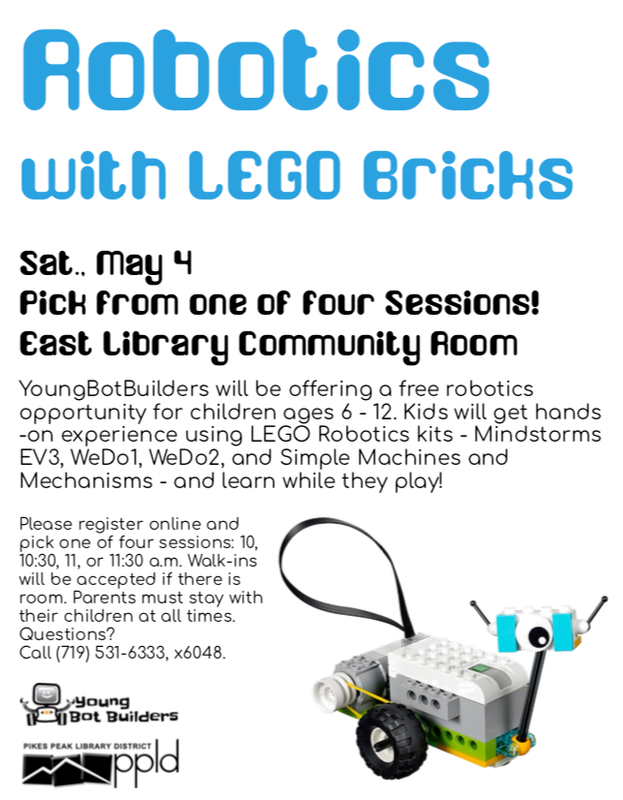 Of course we’ll be offering the tried and true LEGO Engineering and Mindstorms EV3. We look forward to serving you for another summer! Do you want to find out more about local educational events in the Colorado Springs area? Want to be first to find out when camp registration opens? We we won’t send more than 1 every month (except summertime) Sign up here. Centrally located near the corner of Union and N. Academy in the same shopping center as Big Lots.